CW Cooke may have just gotten a movie deal for his comic, Solitary, but newfound Hollywood success isn’t stopping him from continuing to pursue the less lucrative art form of comic books. Cooke and co-creator Travis Hymel have just launched a new Kickstarter for L.U.C.H.A., a comic whose elevator pitch is: “Lucha Underground meets The Truman Show.” Truly, this is the golden age of wrestling comics! L.U.C.H.A. was born from a simple idea as part of the Kayfabe anthology (a wrestling comic anthology put together by comic creators and wrestling fans alike, with the emphasis on wrestling as real), this story about Agente took on a life of its own because of the incredible working chemistry Travis and CW had and the unbelievably insane story they came up with. The other creators and fans of Kayfabe voiced their excitement and love for the character and story, leading CW and Travis to move forward on the full series. L.U.C.H.A. has been a blast. It’s a thrill to work with a team that comes together and makes a comic like this hum. Plus the outpouring of praise and well-wishes has been amazing. 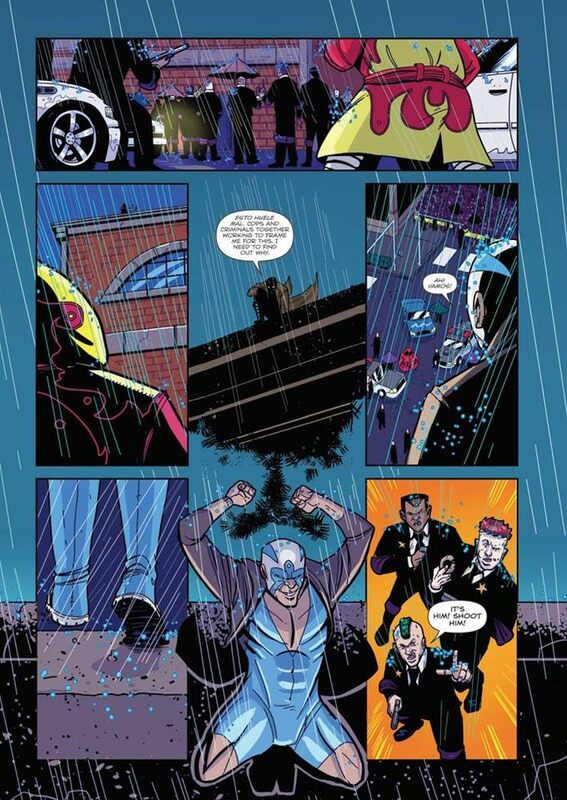 If you’re into wrestling, comics, or both, head to Kickstarter and check out the project. If Cooke isn’t too busy signing autographs and making big money Hollywood deals, we’ll try to get him and Hymel to give us an interview later this month.